Idea Cellular has announced two new offers for its customers across the country. The first one is the additional data offer and the second one is the 101% cashback offer. Both the offers are already live for Idea customers. Talking about the first offer, Idea Cellular, recently introduced a tariff plan of Rs. 179 to compete with Reliance Jio’s Rs. 149 plan. This plan from Idea Cellular offers 1GB of data and unlimited voice calls for 28 days. However, as part of the offer, customers whoever recharges the Rs. 179 plan on Idea website or application will get additional 250MB of data, which makes it 1.25GB data for 28 days. This is a good offer from Idea as other telecom operators such as Vodafone, Airtel is offering 1GB of data. This differentiates Idea Cellular from the competition, and even there’s no daily data cap. 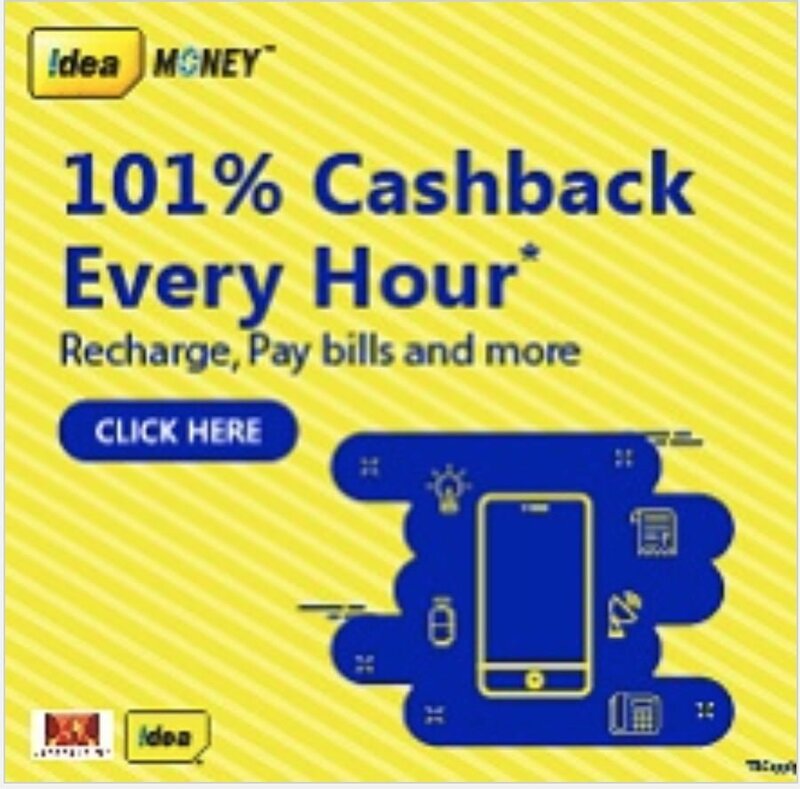 Talking about the second offer introduced by Idea Cellular, the company is offering 101% cashback every hour on the recharges done through Idea Money application of Idea’s official website. After Reliance Jio and Bharti Airtel, it’s the turn of Idea Cellular to introduced a cashback offer to its customers. This offer is valid for all the Idea subscribers across the country starting October 20, 2017, to October 31, 2017. Under the offer, Idea is offering 101% cashback with a maximum cashback amount of Rs. 101. So, one lucky winner every hour will receive the 101% cashback of Rs. 101 (maximum amount) every day during the offer period. And the offer is applicable for 15 hours every day from 7 AM to 10 PM. Also, this offer is applicable on prepaid transactions, postpaid and DTH bill payments, utility transactions such as electricity and gas bill payment. Do make a note that the recharge should be done either on Idea Money app or web, and all the successful Idea Money transactions are eligible for the offer. Furthermore, this offer is not applicable on Airtel prepaid, postpaid, and DTH recharges, and the cashback will be credited to the customer’s Idea Money wallet within 72 hours of the transaction. Idea is better than Airtel at the moment!!!! !